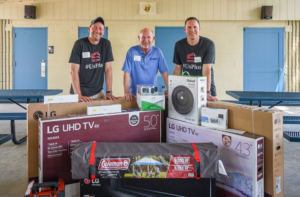 As the holiday season gets closer and we reflect on of the things that we’re thankful for this year, it’s incredibly important and rewarding to give back to those in our community who are in need. 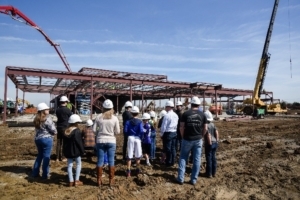 Straub Construction recently celebrated our 4th annual Straub Week of Giving. And what a wonderful week of giving it was. This year our week of giving included supporting four amazing local charities. 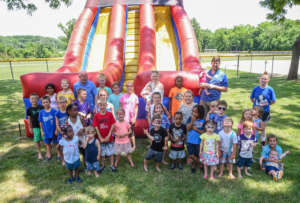 Shawnee Community Services is an amazing organization based in our home town of Shawnee. They impact so many people throughout the Kansas City Area. 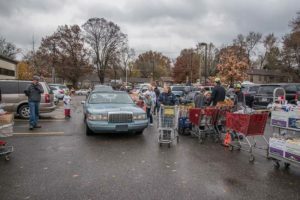 For the fourth straight year, Straub Construction partnered with Shawnee Community Services to provide food for those who need it during the holidays. 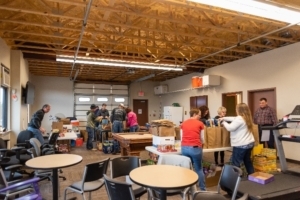 Due to the changing needs in our community, Shawnee Community Services had a greater demand for additional food packages to distribute to the needy. 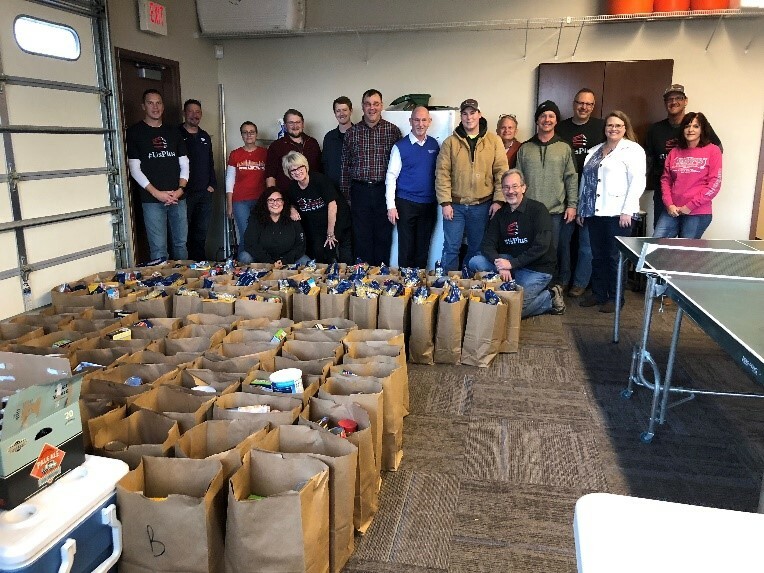 In response to this, Straub Construction purchased all the food and during our Week of Giving kickoff party, Straub employees and family members loaded up 100 bags of food that would feed 50 families for a week. The people at Shawnee Community Services were overjoyed with the food donation and we are so happy to be able to assist them in carrying out their mission. The Kansas City Hospice House & Palliative Care is an organization that seeks to be a “home away from home” for those who need end-of-life care. They work directly with patients, their families, and physicians to make end-of-life a time of comfort, enrichment, and love. On a Monday evening, Straub employees served a hot meal and homemade desserts to over 30 family and friends of those receiving end of life care. 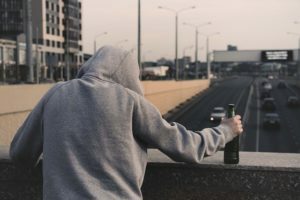 The mission of Morning Glory Ministries is to “Uphold the inherent, God-Given Dignity in every human life by providing not only physical nourishment and basic needs, but also by fostering hope and self-worth in the most disadvantaged and forgotten members of society”. Morning Glory Ministries is located at the Cathedral of the Immaculate Conception. They’re one of the many ministries serving breakfast to the needy Tuesday-Friday and serving lunch on the weekends. On Wednesday, 10 of our Straub Construction employees met at the Cathedral at 6:30am to serve a hot breakfast to over 140 people. Once again, our tradition of supporting “adopt a family” through the Bishop Sullivan Center has continued. We’ve been assigned a family in need of every day necessities like warm jackets, shoes, socks, etc. We’ve been given the names and ages of each family member, and throughout the next few weeks, Straub employees will donate money in order to make their holiday wishes come true. We do this every year to provide for a less fortunate family in our community. It’s also a way of honoring the leadership of Ernie, Parker, and Dan. This was another wonderful Week of Giving. Thank you to everyone who was involved in making this week possible. 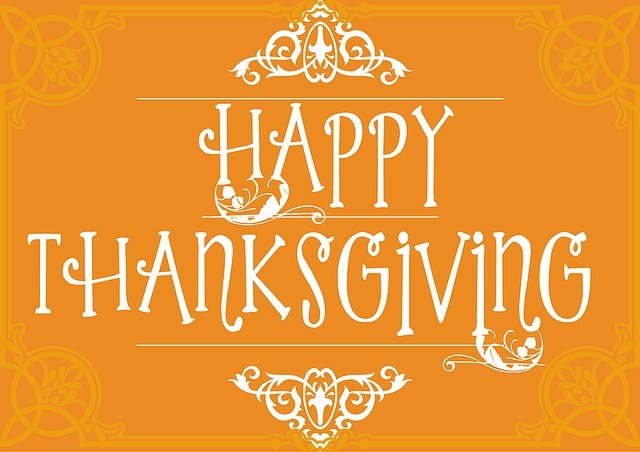 We all have so much to be thankful for! For the third year in a row, the Summer Internship Program at Straub Construction has culminated with our interns, Connor Wentz-Hall, Justin Briggs, and Trevor Scheumann planning and managing a volunteer/building project. 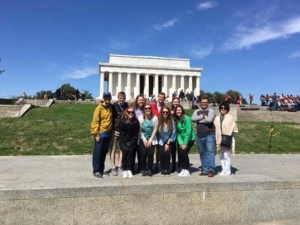 At Straub Construction, we take a very comprehensive approach to our summer internships. Our interns spend time working in the field, in the estimating department, shadowing a project manager, and finally they get to plan and execute their own volunteer project. This year we had the privilege of working with Olathe Pregnancy Center, an organization that provides educational and material support to pregnant mothers from early on in their pregnancy, till years after. We discovered the need for this project when Straub Construction was selected to renovate their new Olathe location. 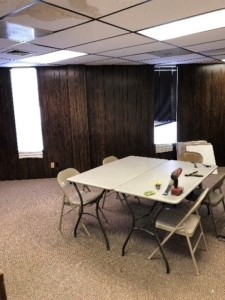 We were informed from the owner that they were only renovating half of the space because they didn’t have the funds to complete the whole space. When we heard this, we knew that our volunteer project was exactly what they needed. So, our volunteer committee and interns started to plan. Each intern took on their own role on the project. 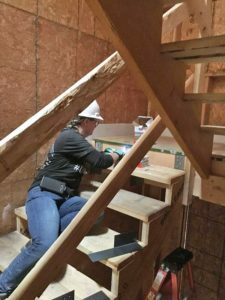 Justin served as the Estimator which included determining how much material that we would need for the project and also reaching out to vendors for material donations. Connor took on the Project Manager Role which included creating the project schedule, determining and planning our project labor, and assembling necessary project tools. 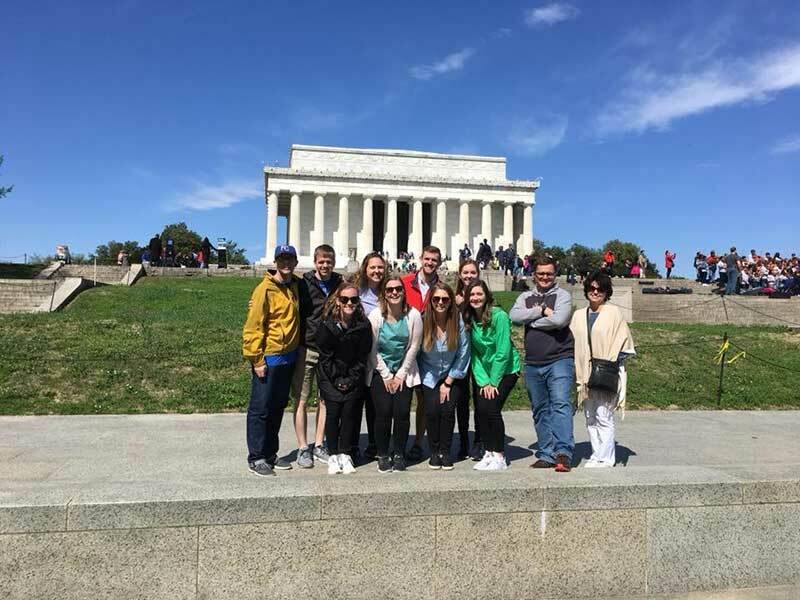 Trevor, who was also one of our interns last year, was the superintendent, which included planning the labor schedule for the volunteer days and overseeing those volunteer days. 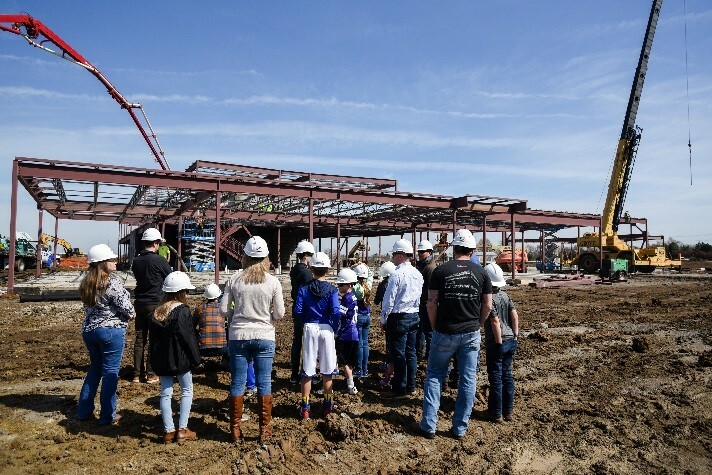 On a Friday afternoon and Saturday morning, groups of Straub Construction employees and family members assembled at The Olathe Pregnancy Center and got after it! Projects included removing carpet and base, cutting and installing wood paneling, patch and mudding drywall, priming and painting all the walls and cabinets, frosting windows, painting counter tops, and much more. 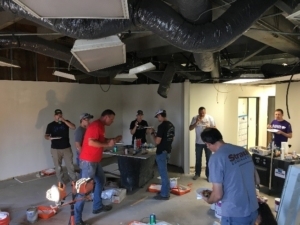 The Straub volunteers were extremely focused on getting their jobs done, only stopping shortly for a quick pizza and drink break. 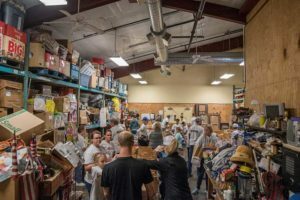 At the end of the two volunteer days, all the workers went home filled with pride from the work they’d done, and maybe a few paint fumes. Following the volunteer weekend, there was still a lot of work to be done. TPC Interiors volunteered their time and materials to rebuild the ceiling grid. 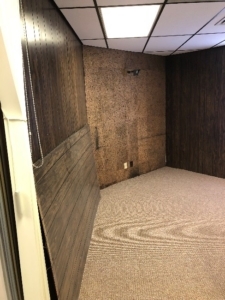 MC Flooring donated all the carpet and base for the space, so our interns came back and installed the flooring. MC Flooring also donated and installed LVT flooring in the kitchen area. 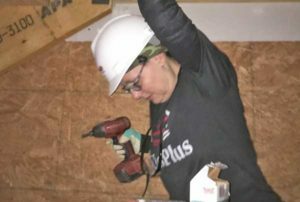 Electrical Associates donated their time and materials to relocate a light switch. 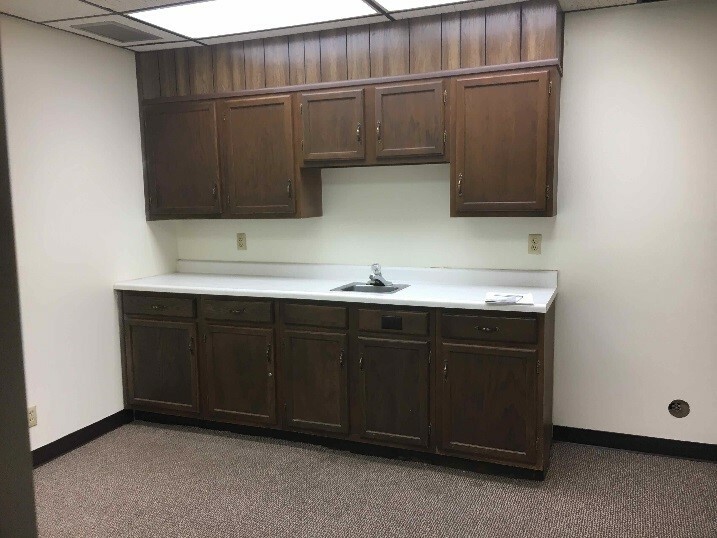 Also, cabinet hardware donated by Locks and Pulls were installed on the new painted cabinets. This additional space will serve as a boutique where women can come and pick out essentials (diapers, wipes, clothes, toys, etc.) for their babies, a classroom type room, a kitchen, and storage area. This was another amazing intern/volunteer project. 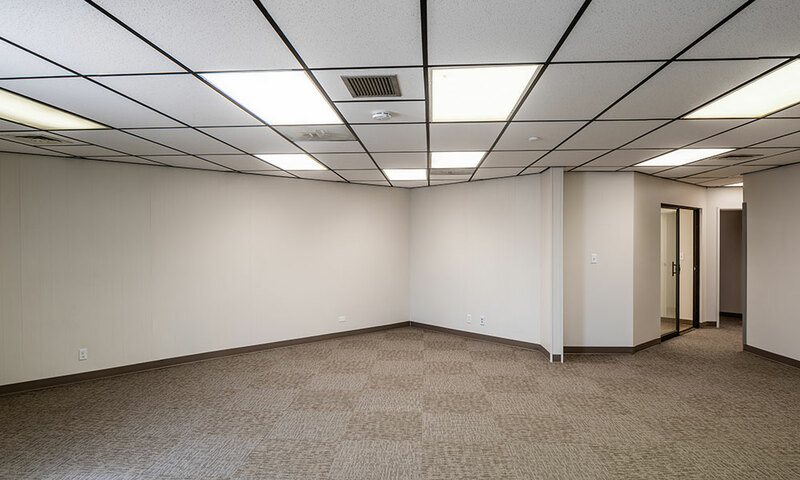 Thank you to all the vendors and subcontractors who gave of their time and resources to make this project possible (MC Flooring, TPC Interiors, Electrical Associates, Locks and Pulls, and Home Depot). 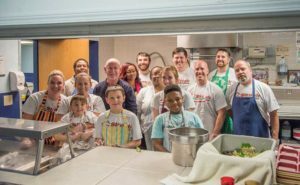 The Bishop Sullivan Center is a non-profit organization that provides a variety of services to help low-income people throughout the metro. 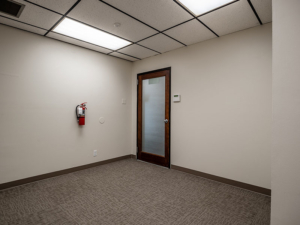 Straub Construction has had a longstanding relationship with The Bishop Sullivan Center and has participated in many of their services. 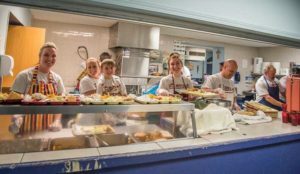 One of these services is their Community Kitchen which provides hot meals to an average of 255 people each night. Right now, the Community Kitchen is only able to reheat food and the dining area is a very small so it is elbow-to-elbow during every meal. 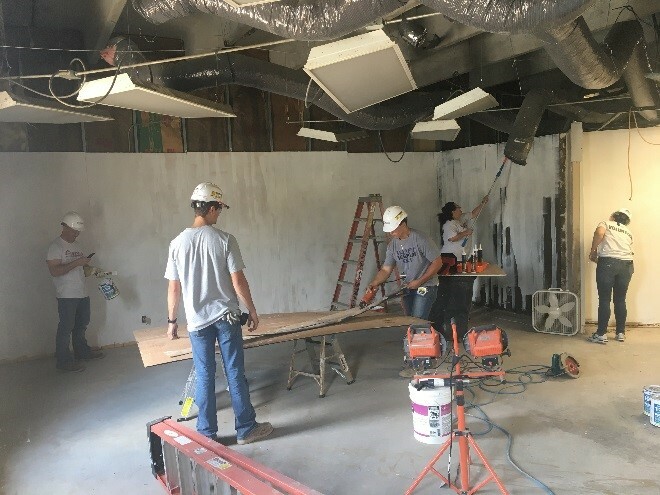 In an effort to expand the outreach of the Community Kitchen, provide a more comfortable eating experience, and provide more nutritious meals, Straub Construction has been tasked with the honor of renovating their current space into what will be known as One City Café. Along with expanding the space and providing a more open concept and comfortable dining experience, the new One City Café will have new cooking equipment that will allow the Bishop Sullivan Center to prepare fresh and nutritious meals. 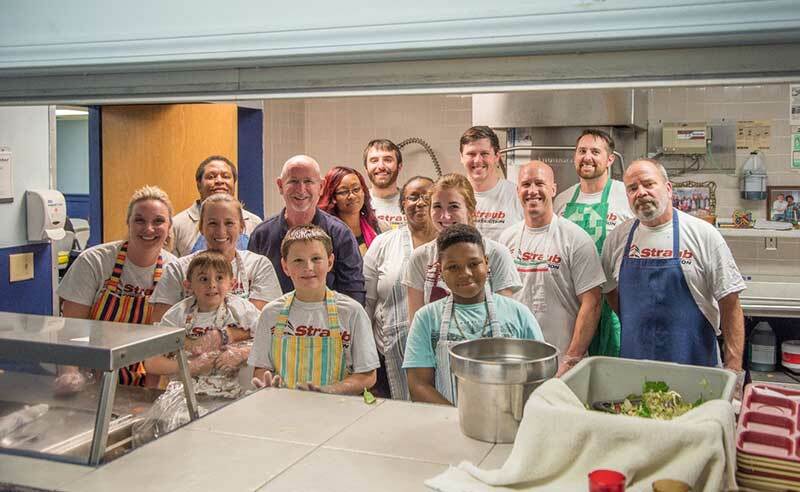 Additionally, part of The Bishop Sullivan Center’s mission is to “build relationships between those who live in poverty and those who do not.” Therefore, there will be a strong effort to include the community in both preparing meals and dining at One City Café. Straub Construction is honored to have the opportunity to renovate the current Community Kitchen into the new One City Café for the Bishop Sullivan Center. The Bishop Sullivan Center has an incredibly positive impact on the less fortunate in our community and we’re thrilled to continue our relationship with this great organization. We will be starting our renovations on the One City Café in the beginning of September and plan to open the doors to the Café by Christmas. Visit the Bishop Sullivan Center website www.bishopsullivan.org to learn more about this great organization and donate to this wonderful cause. 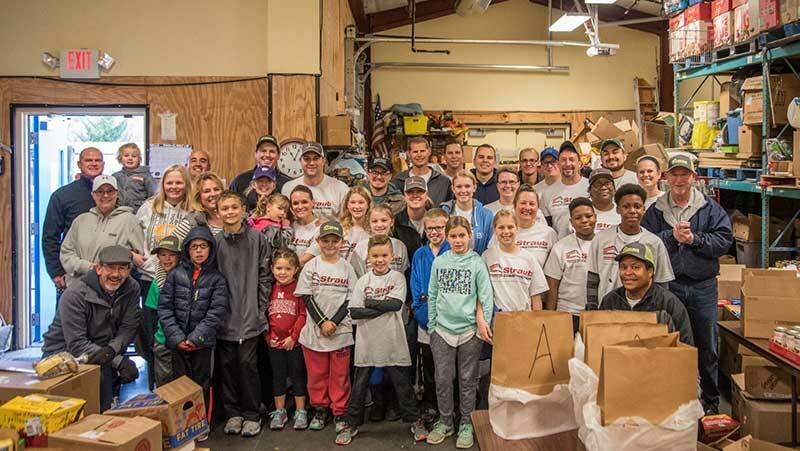 Supporting charities that care for those less fortunate has always been an important part of how Straub Construction Company lives out our core values. Take the Bishop Sullivan Center which provides a wide range of services, food, training, soup kitchen, elder cool, etc, etc, to all who ask, the list is amazing. What if you didn’t have a restroom? 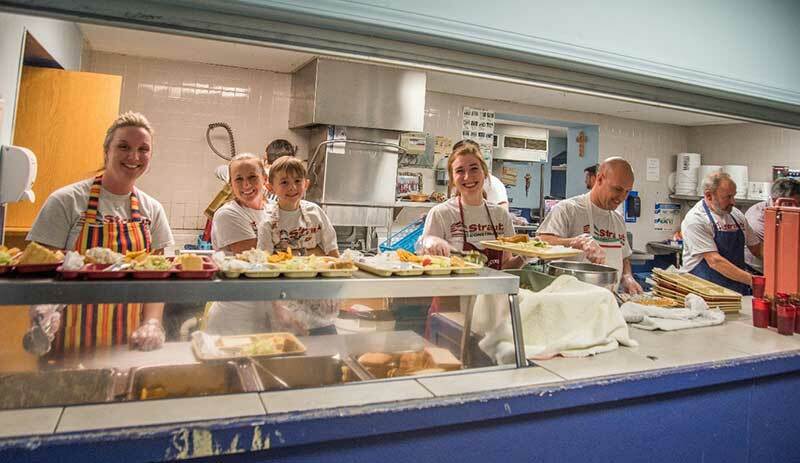 Our commitment and support started 14 years ago when operating the St. James Kitchen & Food Pantry. My Dad discovered there were no bathrooms for the 200 plus guests. Many of the guests received their only meal of the day through the pantry. There was a need and we knew we could help, delivering new facilities just 150 days later that the guests have been very thankful for. The fun didn’t stop there. You can’t imagine how impactful it is to change a family’s life when we turned a simple one day window replacement project into an extreme home makeover project. 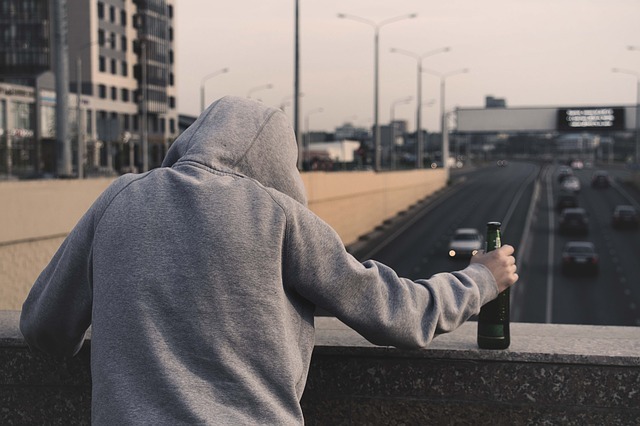 We helped a family of four that was devastated when the 39 year old dad and husband suffered a sudden stroke that left him completely disabled. When we started at 9am, 3 days before Christmas, and saw a family living with no heat in very difficult conditions, we knew what we needed to do. Besides windows, we installed new plumbing, heating, kitchen cabinets, flooring, wall repairs, paint, appliances and a new flat screen TV in 30 hours. There is a special satisfaction that comes from charitable giving when nothing is expected back. 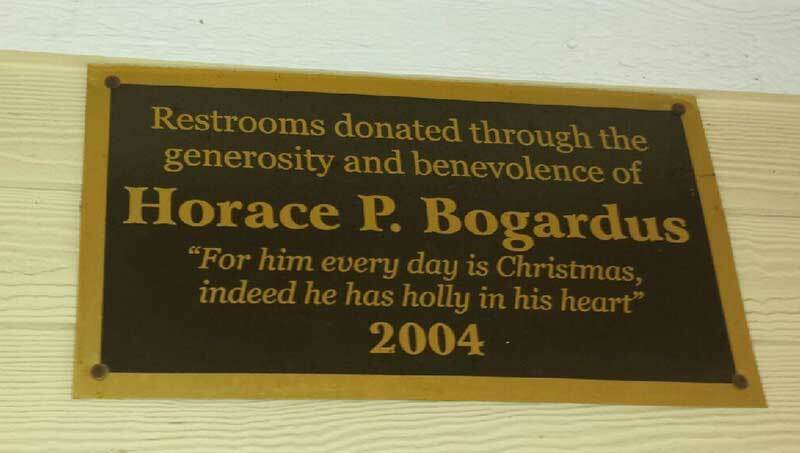 Thanks to all who support the Bishop Sullivan Center. 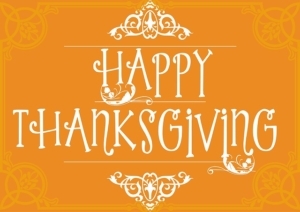 We are blessed and thankful to be a part of the special work you do. Here is the video of the Extreme Home Makeover! We will be sharing more information in a blog post next month about an exciting renovation project that will enhance the experience of those served by Bishop Sullivan Center! 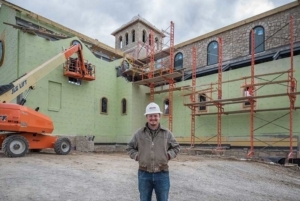 The week before Thanksgiving was a very busy week for Straub Construction, and not just because everyone was cooking feasts and preparing for relatives to come in town. 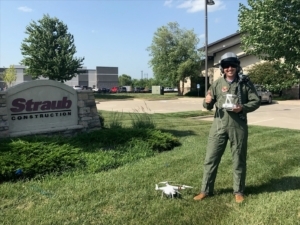 It was busy because Straub employees were participating in our annual Straub Week of Giving. This is a week every year that we dedicate to giving back to our community. And we did that by supporting four charities. On Tuesday, fifteen people, including employees and their families, volunteered to provide desserts and serve meals at St. James Place. St. James is operated by Bishop Sullivan Center. 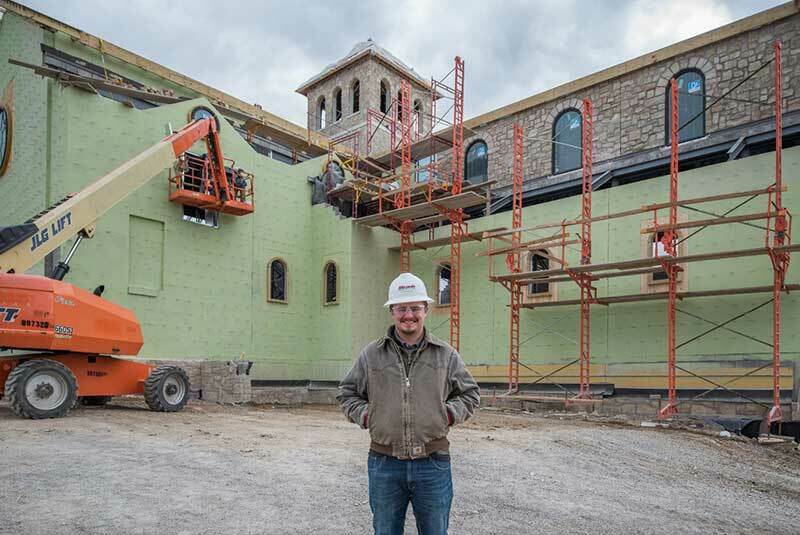 Straub Construction has a longstanding relationship with Bishop Sullivan Center, and we’re always eager to serve at St. James Place. 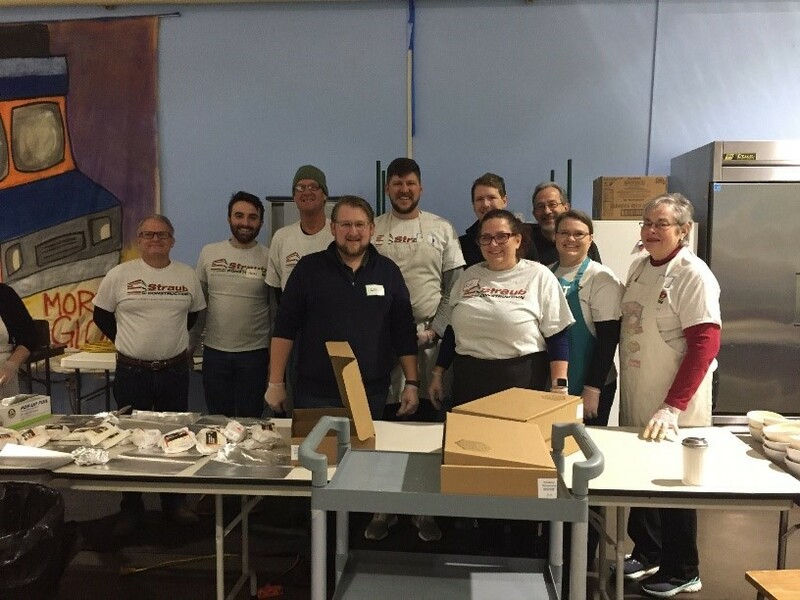 On this night, Straub served almost 300 meals to some very hungry people. It’s always a rewarding and humbling experience to serve the hungry in our community. 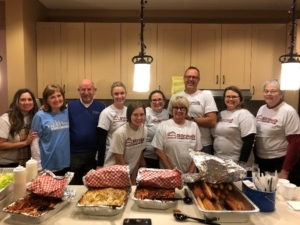 On Wednesday night, nine Straub employees and their families took a meal down to the Ronald McDonald Family Room at Children’s Mercy Hospital. 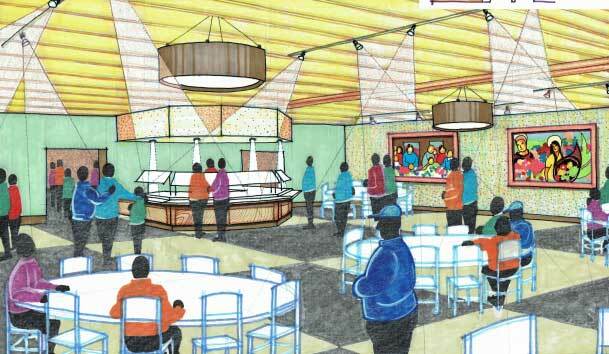 The Ronald McDonald Room provides meals for family members or friends of patients who are staying at the hospital. There were many children going through very difficult times. 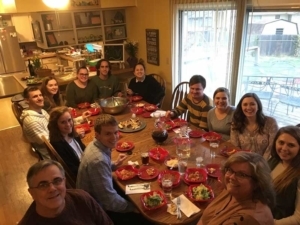 And we were excited to be able to provide a warm meal and smiles to their family and friends. 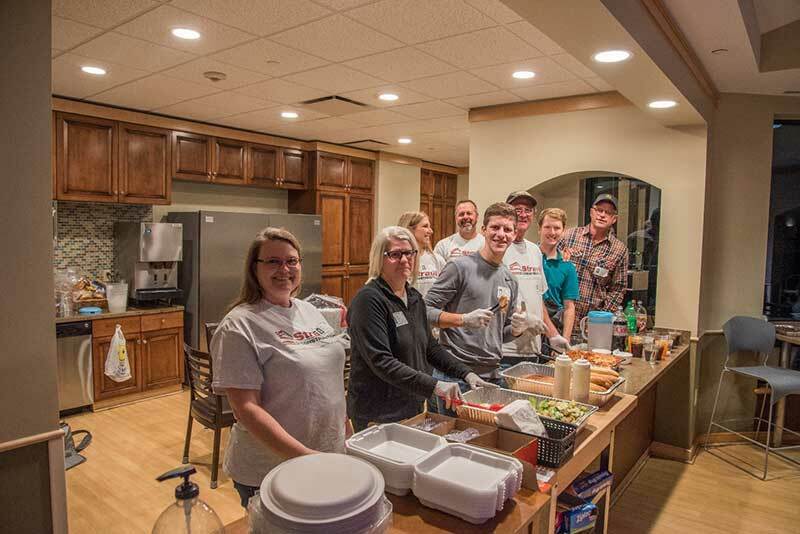 We brought just enough food that night… and were able to provide meals for every floor of the hospital. Saturday morning was a fun event where over forty members of the Straub Construction Family gathered at Shawnee Community Services to assemble and distribute Thanksgiving packages to families in need. Throughout the morning, our team assembled around 240 packages for the families who had signed up to receive them. In the afternoon, once the packages had been assembled, we distributed them to 221 families. This was the third straight year that we’ve served at Shawnee Community Services. It’s always a fun event because it allows whole families to get involved and work side-by-side to help those in need. 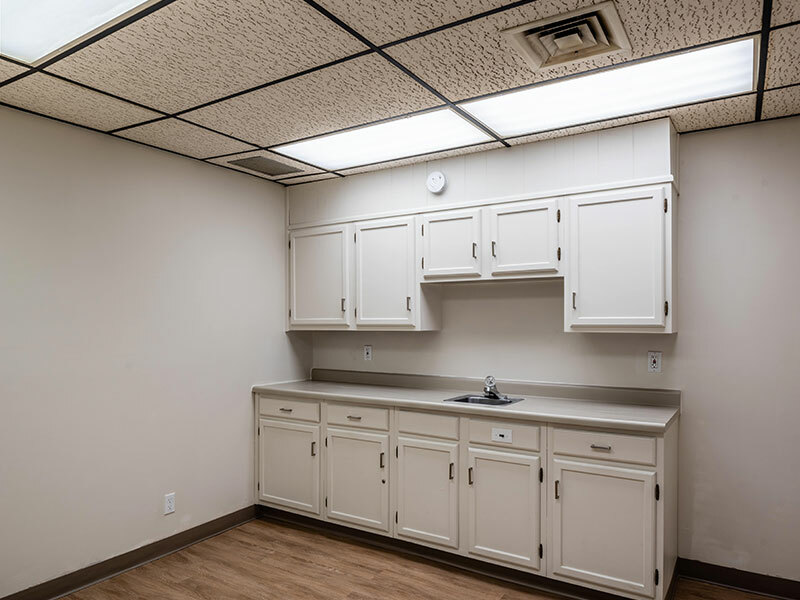 Straub Construction has a long-standing relationship with Shawnee Community Services, including building their current facility. This year, we also continued our tradition of supporting “adopt a family” through the Bishop Sullivan Center. We were assigned a family in need of every day necessities like warm jackets, shoes, socks, etc. After we were given the list of names and ages for each family member, our Straub employees donated money in order to make their holiday wishes come true. We do this every year to provide for a less fortunate family in our community. It’s also a way of honoring the ethical leadership of Ernie, Parker, and Dan. This was another wonderful Week of Giving. Straub Construction did good things for the less fortunate in our community. But if you ask any of those who volunteered, they would tell you that they got as much out of it as they gave. Thank you to everyone who made this week of giving possible. 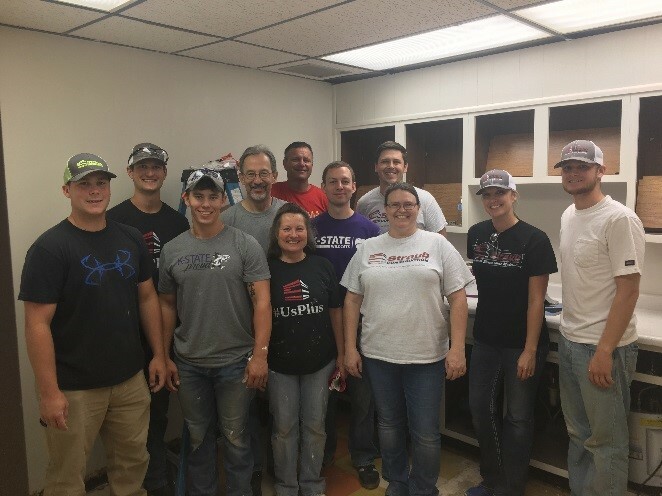 For the second consecutive year, Straub Construction had the culmination of the summer internship program be a volunteer/building project. The project was coordinated, led and completed by our two Interns, Trevor Scheumann and Connor Ford. 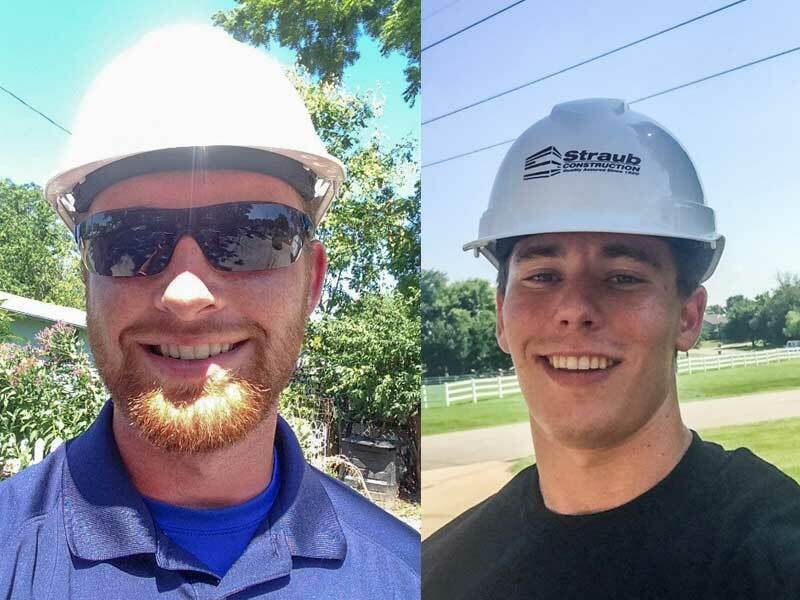 Connor and Trevor spent their summer shadowing different job functions at Straub. From Estimating, to Project Management to working in the field. 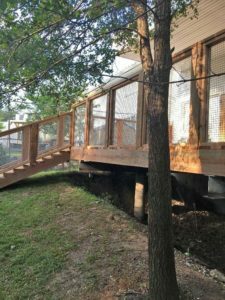 And the deck renovation at Sisters of the Montessori School was an opportunity to put their new-found skills to the test. 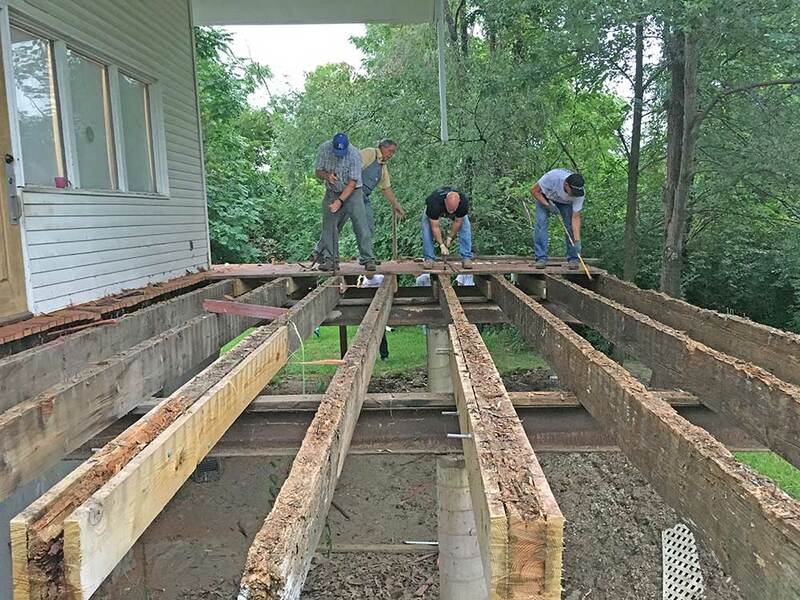 In order to make the project more affordable for the school, the demolition of the existing deck was completed as a Volunteer project by Straub Employees. Demolition started on a rainy Saturday morning. But the weather didn’t slow down our employees who were eager to help. 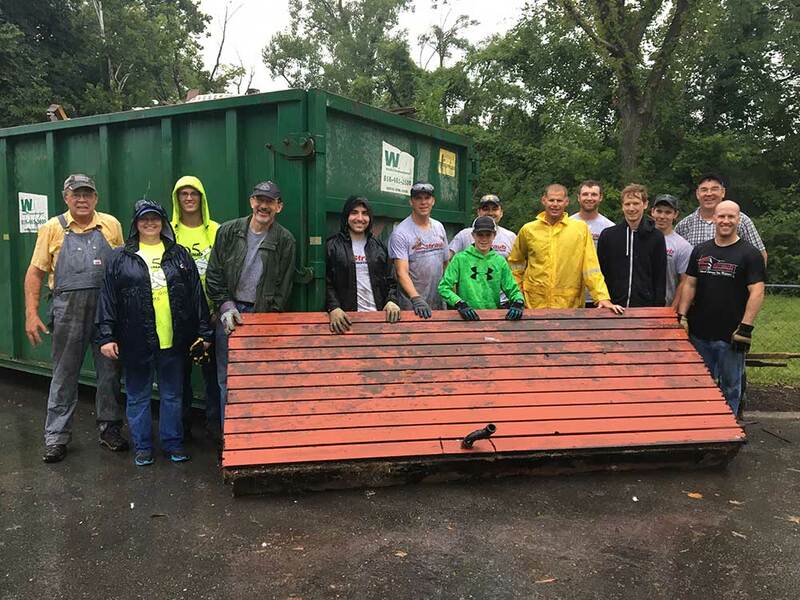 More than fifteen people volunteered to work despite the weather conditions. They made quick work of the old wrap-around deck. 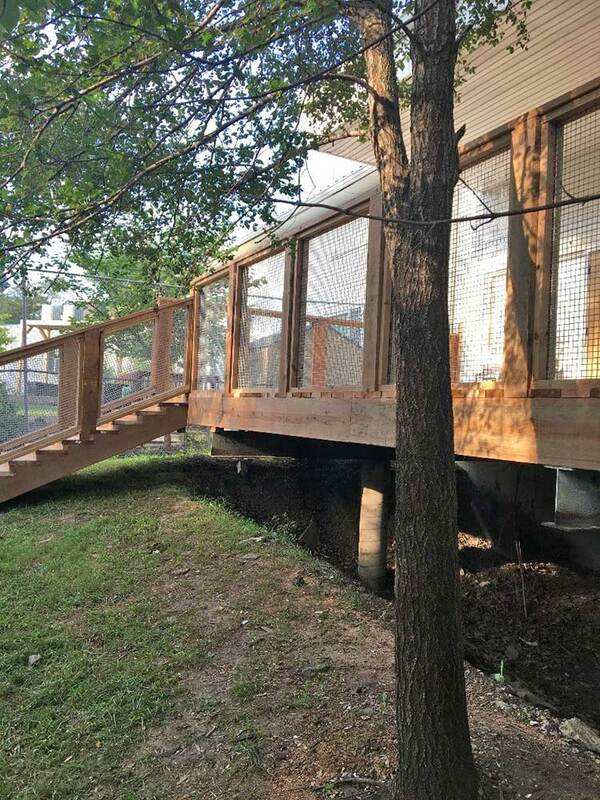 The following week, Straub Carpenters (led by Trevor and Connor) installed 2 new decks. They also installed a door to access the second deck for the school. This project was a great way to end the summer internship program. It was amazing to see how much of a difference the new decks made in the lives of the teachers and students. 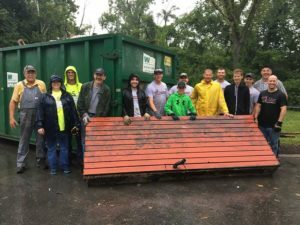 We were all reminded why we love working for Straub… Because doing the right thing and helping out in our community are top priorities. 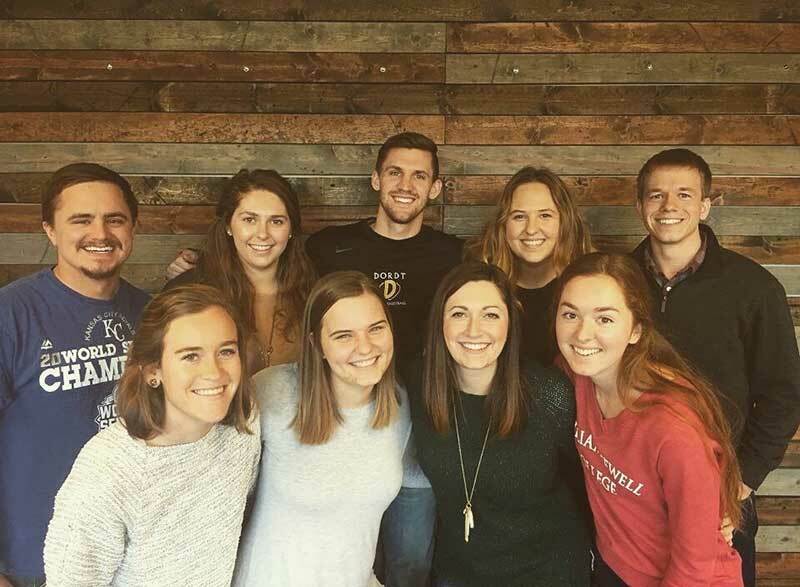 We look forward to next year’s interns continuing the tradition! 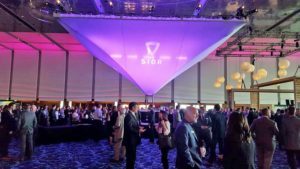 This is a very special event, where companies involved in Kansas City commercial real estate gather together to celebrate the industry and network with each other. This year, 87 companies had booths on display in the Grand Ballroom. Throughout the night, hundreds of people circled the ballroom, stopping at booths to network, play games, grab company swag and enter to win cool prizes. 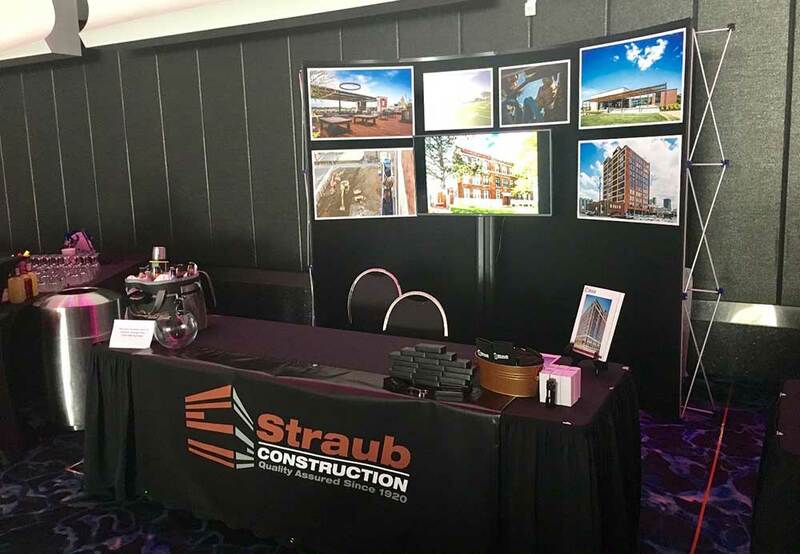 Straub Construction had a great spot set up right in the corner, next to one of the bars. We had a slide show on display with many of our featured projects and poster prints of our most recent projects. We gave away bottle openers, koozies, flashlights (which were a huge hit!) and did a raffle for a Straub cooler bag full of goodies. Straub Construction has participated in this event for over 10 years. Every year it seems to grow and become better and better. It was another great event this year with a lot of fun for our industry. 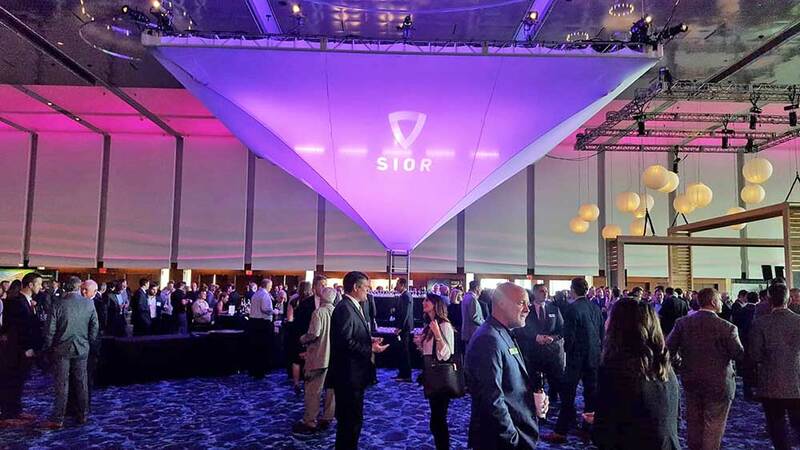 We can’t wait until SIOR 2018 rolls back around!